Help Point – Awareness campaigns, punctuated by frequent prayers, fasting, reciting prayers to expedite the redemption of the Ebola virus.. Number of activities and rituals recognized recently Liv imams in Guinea, to lead this interface within the various parties that declared war on the epidemic killer, which is more deadly over the past 40 years in West Africa. He said “Diallo” established religious body of imams and Christian religious leaders, organizing awareness campaigns, and periodically and systematically, covering different parts of the country. For “Diallo”, the hasih epidemic in the country is extremely heavy, and the death of 555 case infected with the virus point to bad situation, leaving the limits of control. The death of 509 people in Sierra Leone and 1,224 in Liberia, not counting the rest of recorded deaths here and there. All of which, according to the Guinean forward, to reflect on the ways of salvation from the “unenviable.” And speaking of, inter alia, the measures taken by the imams in their fight against Ebola, “said Diallo, saying” during sermons in mosques and churches, comes to the epidemic. Moreover, it is expected that the governing body (against Ebola in Guinea Conakry), over the next few days, consecutive training courses for 600 clerics (imams and Christian clergy), spread over 5 districts of the capital Conakry, as we will, simultaneously, in public places. “Diallo, he said, “this initiative launched by the Secretariat of the Ministry of religious affairs in Guinea, as the virus continues to spread المريع″”, expressing his dismay and regret the large number of deaths due to this disease since the beginning of his appearance in February. In an effort to console himself with his country, “said Diallo was” everything that happened was God’s will, while Ken lay and believers in testing, the imams to come to help the people to resist. A Muslim cleric has opined that the deadly outbreak of the Ebola virus in the country is destined by Allah due to persistent violation of mankind’s covenant to be one another’s keepers in the society. The Chief Imam of the Salafia Mosque, Sheikh Salah Sheriff, said not only is the Ebola outbreak in the country is the result of Liberia’s broken covenant made to God, he sees the disease, according to the Holy Quran, as what he referred to as “Azabolah”, meaning punishment of God. 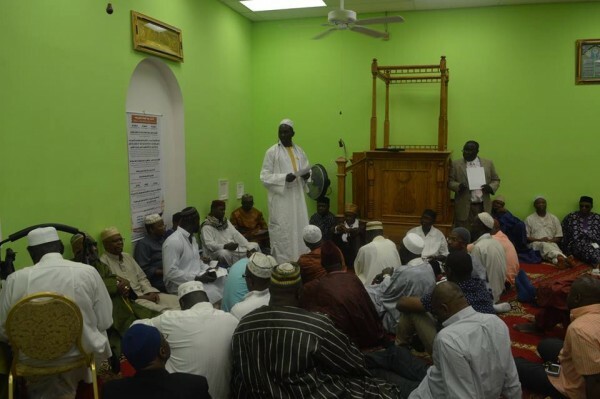 Making the disclosure at the Salafia Mosque Tuesday August 26, 2014 in Monrovia, the Muslim cleric described the emergence of the killer disease in the country as a signal of God’s warning to all Liberians, regardless of religion, tribal or political connections. “I am calling on every citizen to turn a new leaf and begin to be right with the Most High,” the cleric said. Sheikh Sheriff also attributed the outbreak, occasioned by loss of many lives, to the indulgence of some Liberians in acts of lesbianism and homosexuality, armed robbery, wickedness, cheating, fornication, adultery and disrespect to constituted authorities, all of which are forbidden by God. “The belief that God is able to heal the land and have the virus kicked out of the country can be made possible if every citizen can repents from his/her sinful ways and begin to fear God rather than the virus,” the Muslim cleric maintained. He added that since the outbreak of the Ebola pandemic in the country, many people continue to die not only because of fear but also denial. Regarding full adherence to Ebola preventive messages and awareness activities being brokered by the national Ebola taskforce, the government and international partners, Sheikh Sheriff maintained that sensitizing worshippers on the danger and prevention of the disease as some measures undertaken by his congregation to prevent the spread of Ebola in the country. He, however, used the occasion to stress the need for total reconciliation amongst Liberians if the nation is to rise again in the comity of nations. Another voice that competes with Imams is a local initiative called Daily Talk, which presents local and national stories on a chalkboard outside of a small shack on a central street in Liberia’s capitol of Monrovia. The effort presents news to Liberians where literacy is often a problem. This approach is good because it gets the headlines out there for discussion, and sometimes uses infographics instead of words. But a weakness is that it often reflects the author’s bias and framing of headlines, giving the “village scribe” the too much power to influence public opinion. I originally re-posted the article in full, but the article’s source sent me a nasty take-down notice, so just click to their version instead (on the title above) to read it.